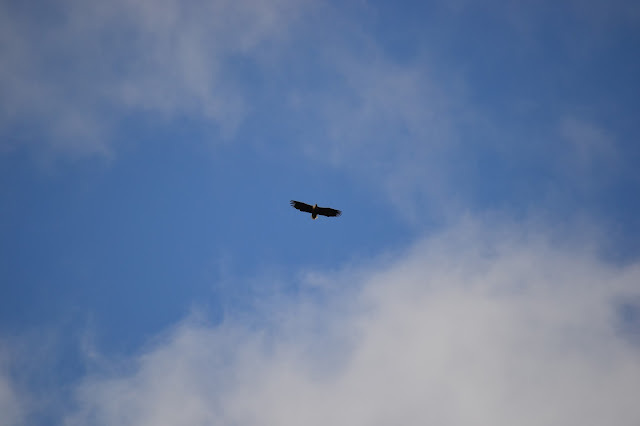 Out with friends for the weekend, we steamed past a nest site in the Lynn of Morvern and were rewarded with the sight of this Sea Eagle and its mate soaring over the Loch. We had the pleasure of Didier and Francois' company for a quick run up to Tobermory and back. They are writing a magazine feature to be published later this summer about Chico and boating on the west coast. An unforgetable experience. The puffins completely ignore their human visitors while they get busy with nesting in rabbit burrows. Whatever it was it must have been interesting!